Upswing’s fearless shows fuse spectacular aerial work with acrobatics, dance, theatre and cutting-edge multimedia to tell powerful stories. Never content with the ordinary, Upswing have spent twelve years bringing people together through circus – and inhabiting some very unusual spaces along the way. 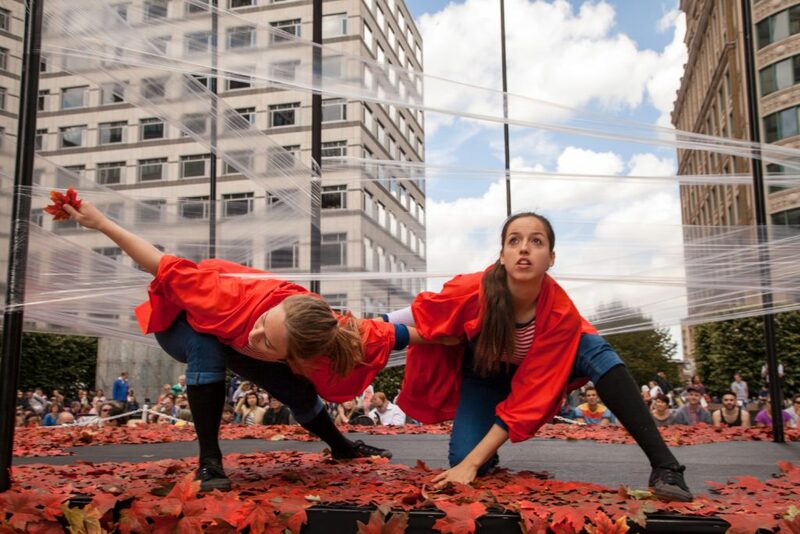 From iconic venues like the National Theatre and Stratford Circus Arts Centre, to outdoor spaces including the top of Nelson’s Column, to the community libraries and care homes on your doorstep, Upswing specialise in bringing extraordinary circus stories to meet the audiences who inspire them. 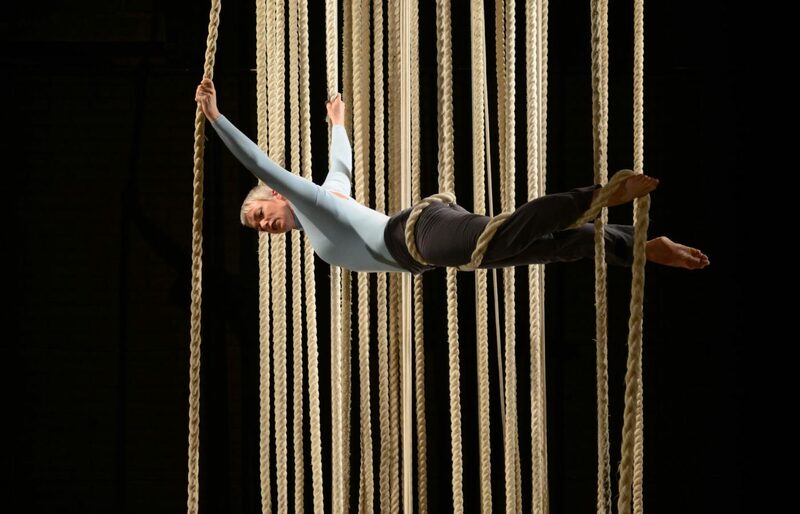 With co-commissioners and producers including Stratford Circus, National Theatre, Roundhouse, Channel 4 and Hull UK City of Culture 2017, Upswing have created an electrifying portfolio of work that regularly tours nationally and internationally. But wherever they go, Upswing bring a sense of home and belonging with them. 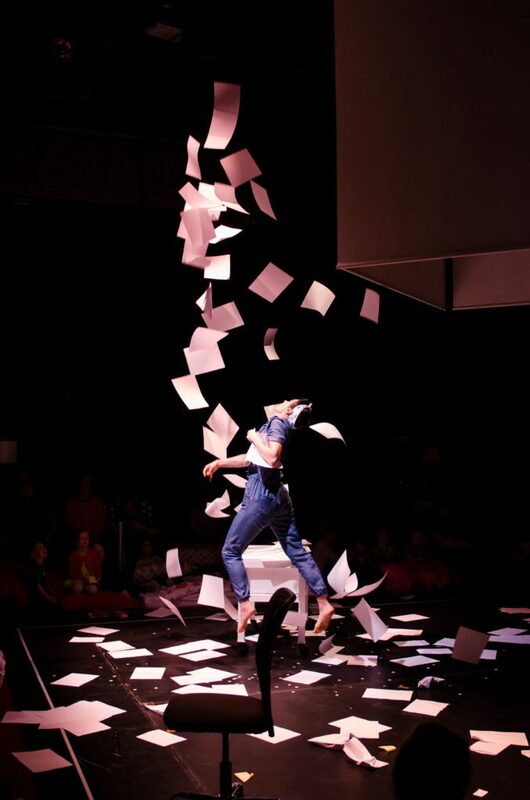 Committed to the belief that great circus is about telling stories that connect people, Upswing’s performances never fail to create a powerful sense of community, even if it’s just for a night.